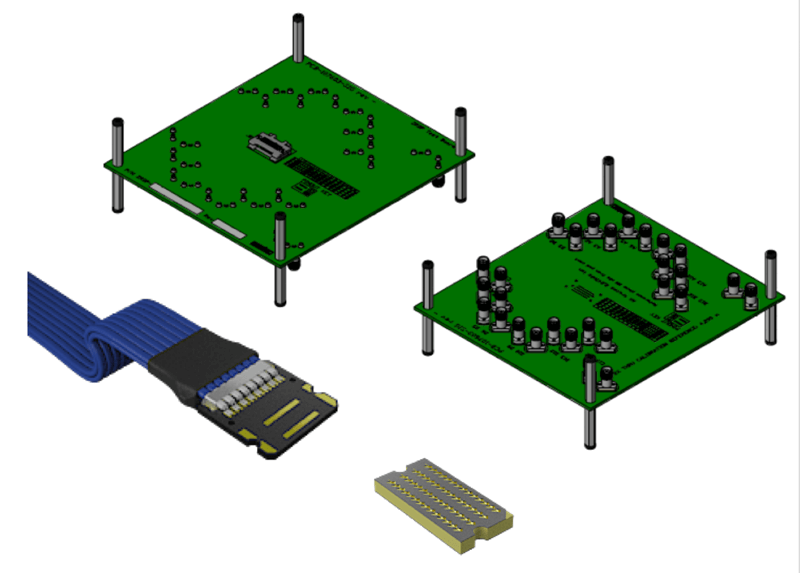 From concept and prototype to development and production, Samtec-designed Evaluation and Development Kits featuring high-speed interconnect solutions simplify design and reduce time to market for hobbyists, tinkerers, start-ups and OEMs alike. 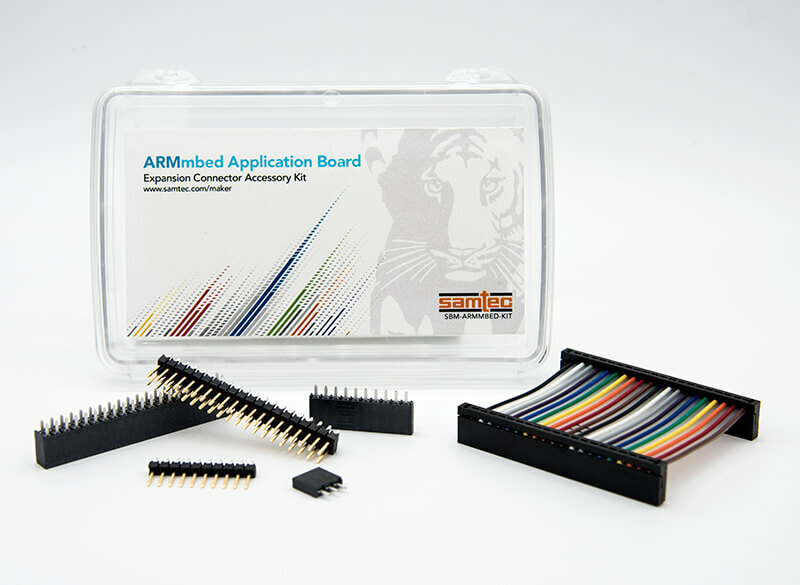 The AcceleRate® Flyover™ SI Evaluation Kit routes eight high-precision differential pairs via ARF6 series mating connectors and twinax cable lengths and RF connector options. 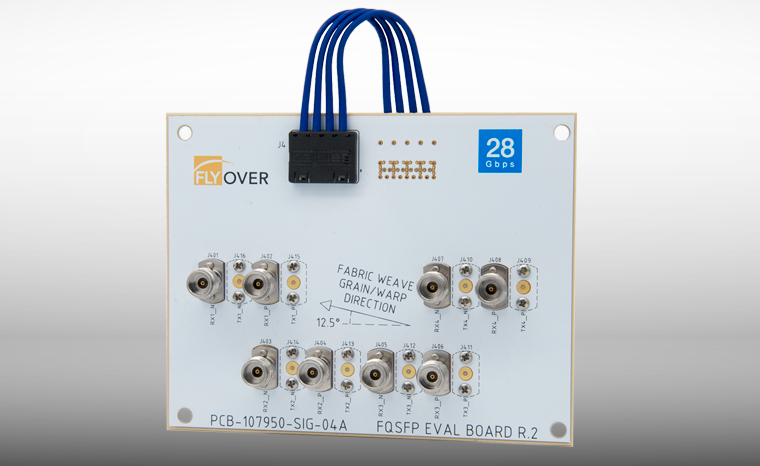 The DCH Flyover™ SI Evaluation Kit routes four high-precision differential pairs via user-selected twinax cable lengths and RF connector options. 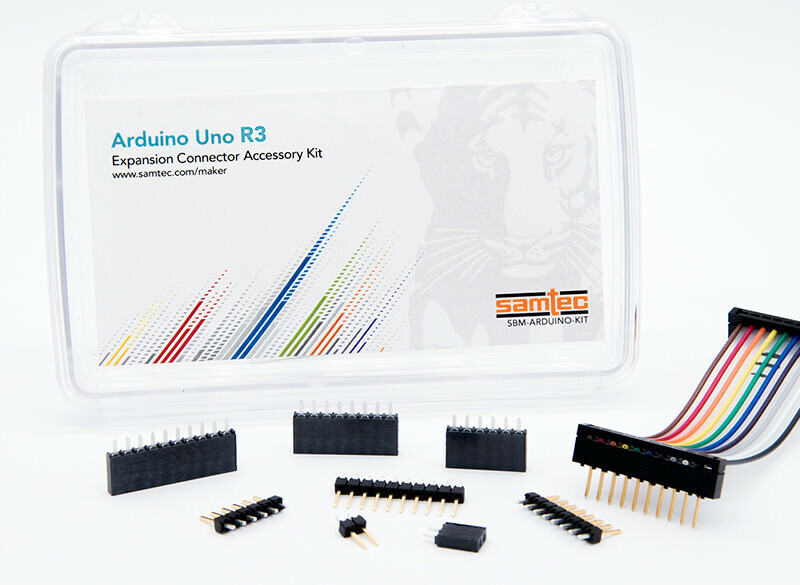 The ECUE Evaluation Kit routes eight high-precision differential pairs via UEC5-2/UCC8 series mating connectors and user-selected twinax cable lengths and 2.4mm RF connectors. 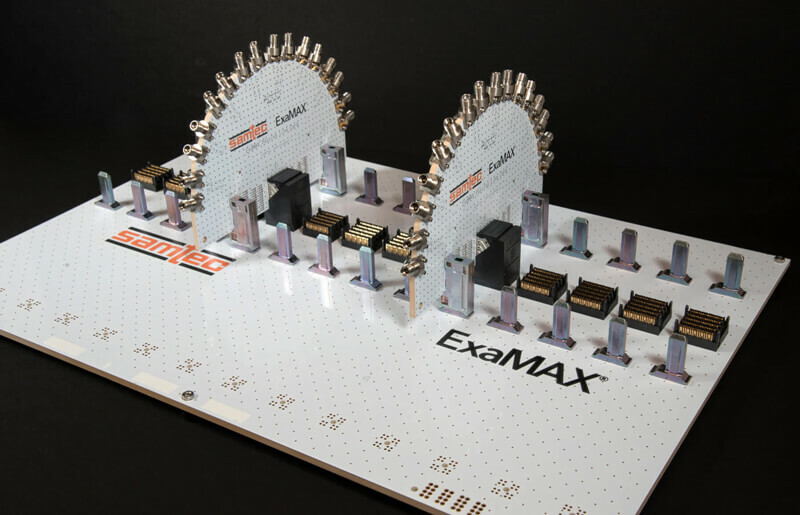 This SI test platform routes eight, high-precision differential pairs over a backplane using ExaMAX® connectors in a 4x10 configuration. 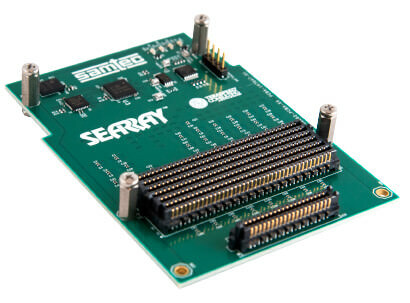 It supports configurable backplane trace lengths via user-selected paddleboard placement. SI test platforms for characterizing FQSFP Series Twinax Cable Assemblies with various End 2 options. SI test platforms for characterizing FQSFP-DD Series Twinax Cable Assemblies with various End 2 options. 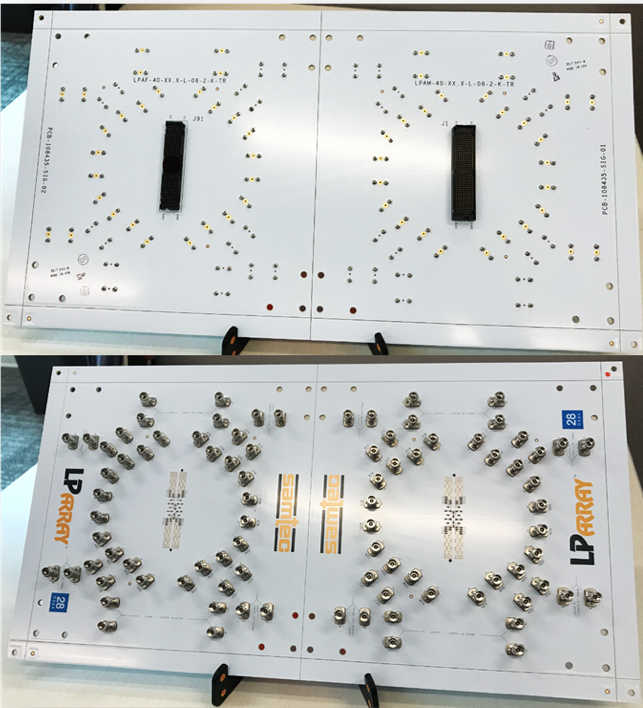 The LP Array™ SI Evaluation Kit routes twenty high-precision differential pairs in an LPAM / LPAF Series mated connector pair with user-selected stack heights and RF connector options. 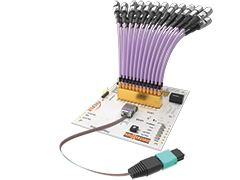 The Z-Ray® Flyover™ SI Evaluation Kit routes multiple high-precision differential pairs via user-defined ZRDP Series cable assembly lengths and ZCI Series interposers. 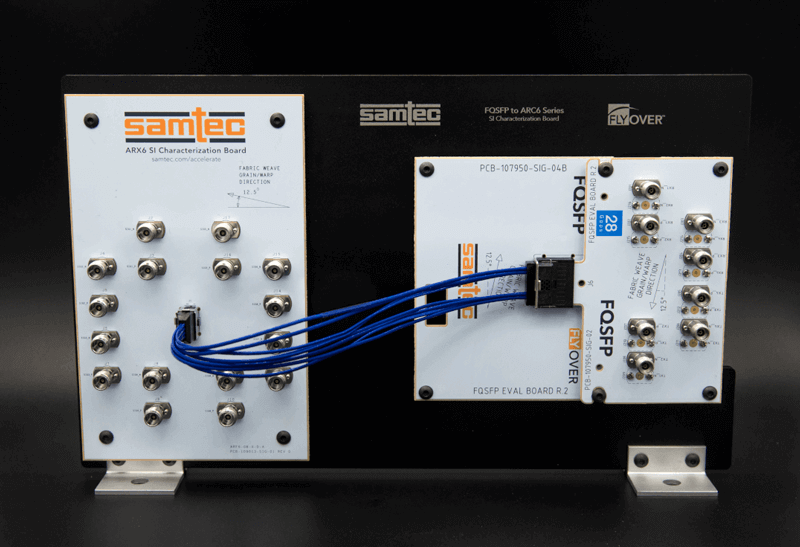 Rated up to 25 Gbps, this kit allows the designer real-time evaluation of an actively running copper or optical FireFly™ system in their lab, with their inputs, via Samtec's Bulls Eye® system. 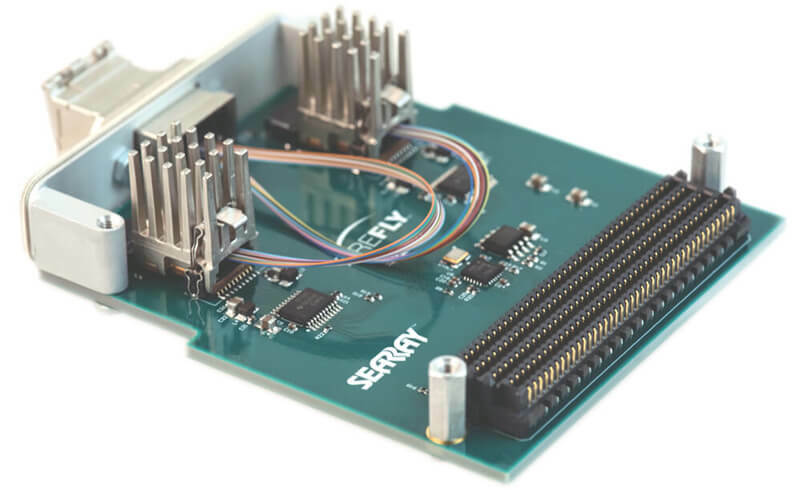 The VCU110 ExaMAX® Loopback Card routes 8 GTY MGTs from the Xilinx® Virtex® UltraScale™ FPGA through the ExaMAX® mated connector pair and back to the FPGA. 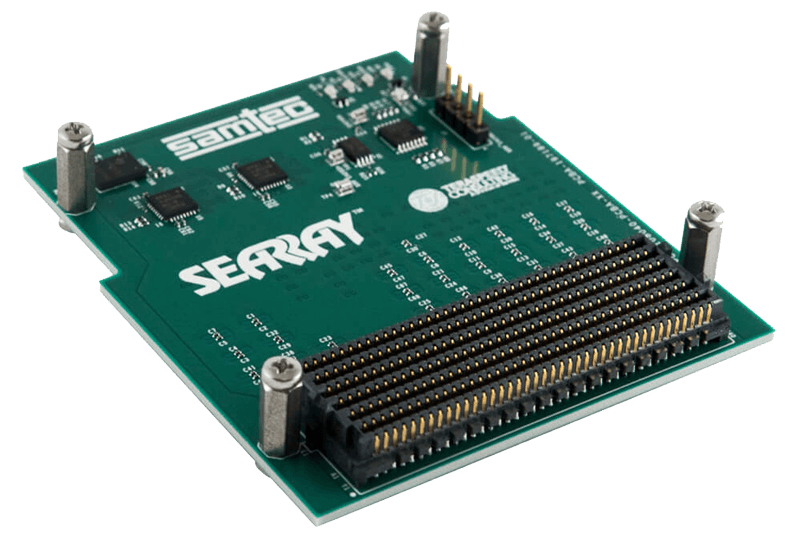 Samtec's 14 Gbps FireFly™ FMC Module is VITA 57.1 compliant and provides up to 140 Gbps full-duplex bandwidth over 10 channels from an FPGA to an industry-standard multi-mode fiber optic cable. 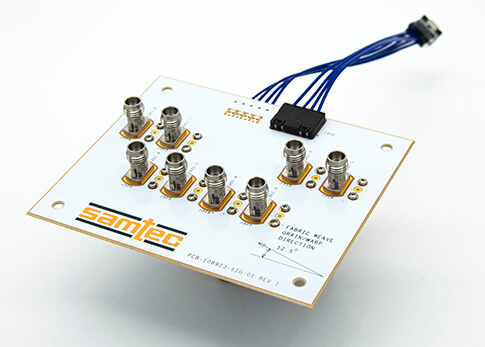 Samtec's 25/28 Gbps FireFlyTM FMC+ Module is VITA 57.4 compliant and provides up to 400/448 Gbps full-duplex bandwidth over up to 16 channels from an FPGA to an industry-standard multi-mode fiber optic cable. 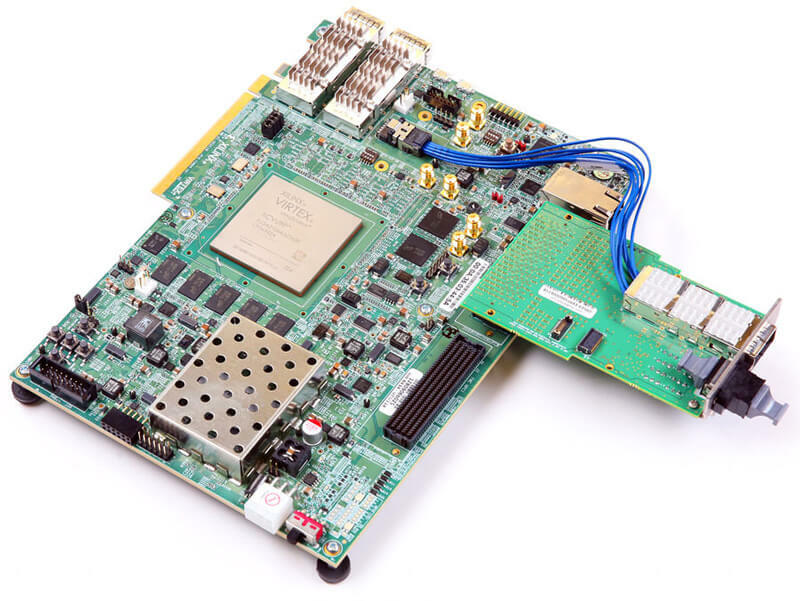 Samtec's VITA 57.4 FMC+ HSPC Loopback Card provides FPGA designers an easy to use loopback option for testing low-speed and high-speed multi-gigabit transceivers on any FPGA development board or FPGA carrier card. 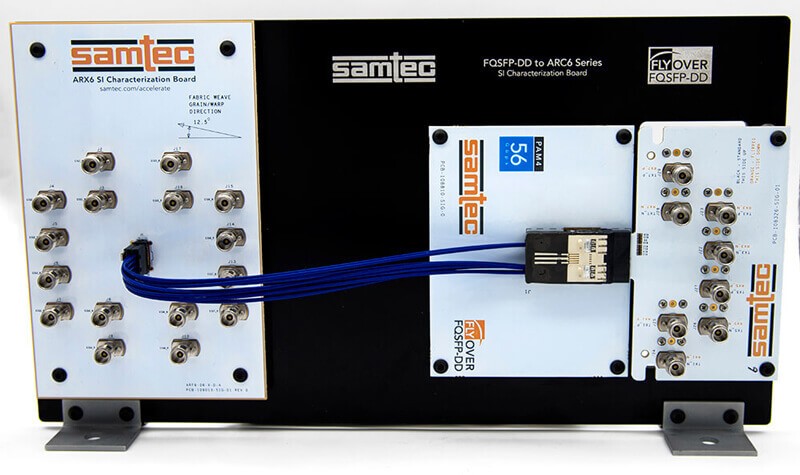 Samtec's VITA 57.4 FMC+ HSPC/HSPCe Loopback Card provides an easy to use loopback option for testing low and high-speed multi-gigabit transceivers on any FPGA development board or carrier card and, is an ideal substitute for 28 Gbps test equipment. 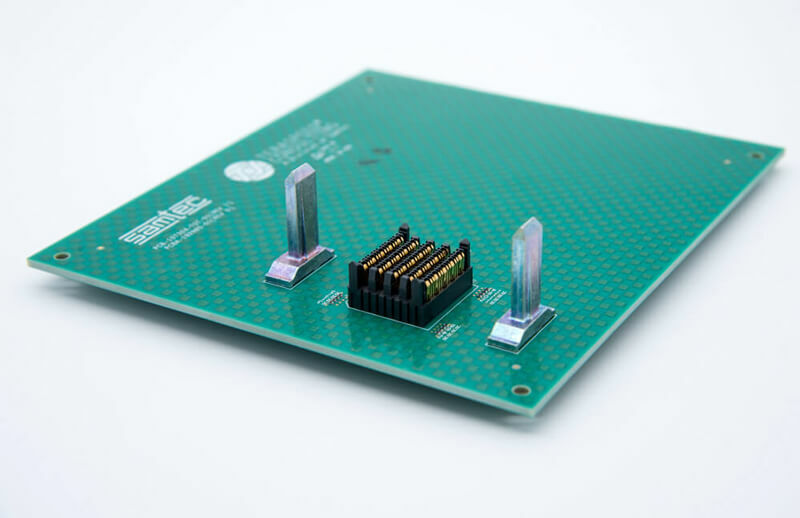 This loopback mezzanine card was based on an elongated version of the VITA 57.4 single width mezzanine card, designed for use with the Xilinx® UltraScale+ VCU118 Development board and is included in the VCU118 Development Kit available from Xilinx®. 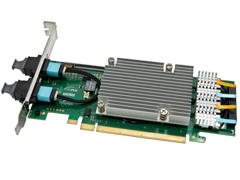 Samtec's PCIe®-Over-Fiber Adaptor Cards enable long distance PCIe® Gen 3 interfaces in computer-to-computer and computer-to-end point applications while supporting transparent and non-transparent bridge links. 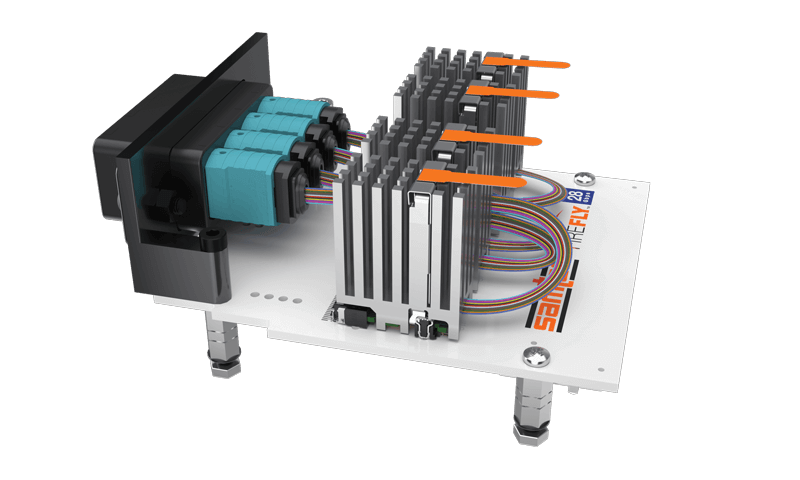 Samtec's Expansion Accessory Kit allows for continued growth and stacking of Arduino-based systems using standard IDC cables, socket strips and terminal strips. 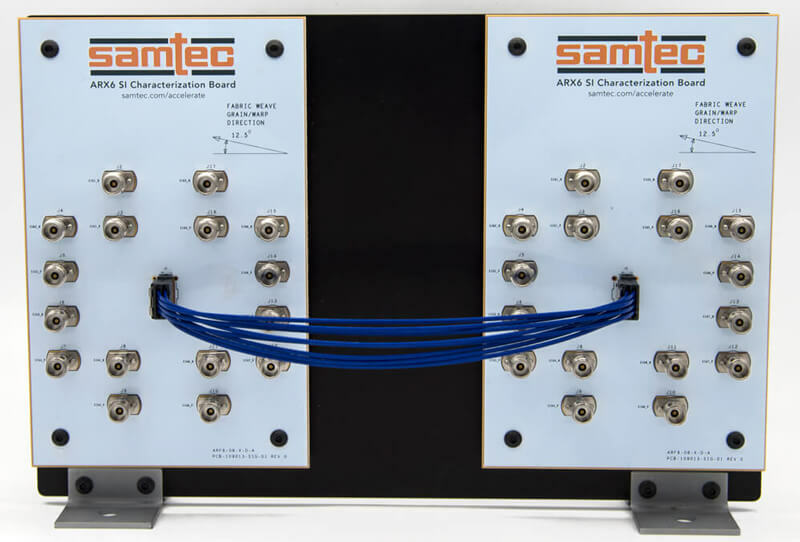 Samtec's Expansion Accessory Kit allows for continued growth and stacking of mbed-based systems using standard IDC cables, socket strips and terminal strips. 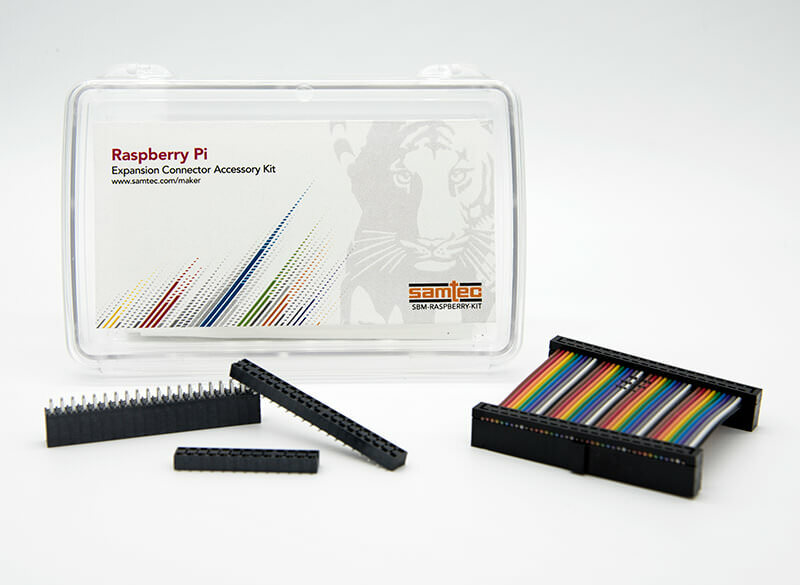 Samtec's Expansion Accessory Kit allows for continued growth and stacking of Raspberry Pi-based systems using standard IDC cables, socket strips and shrouded terminals.